I am about to lose my mind! 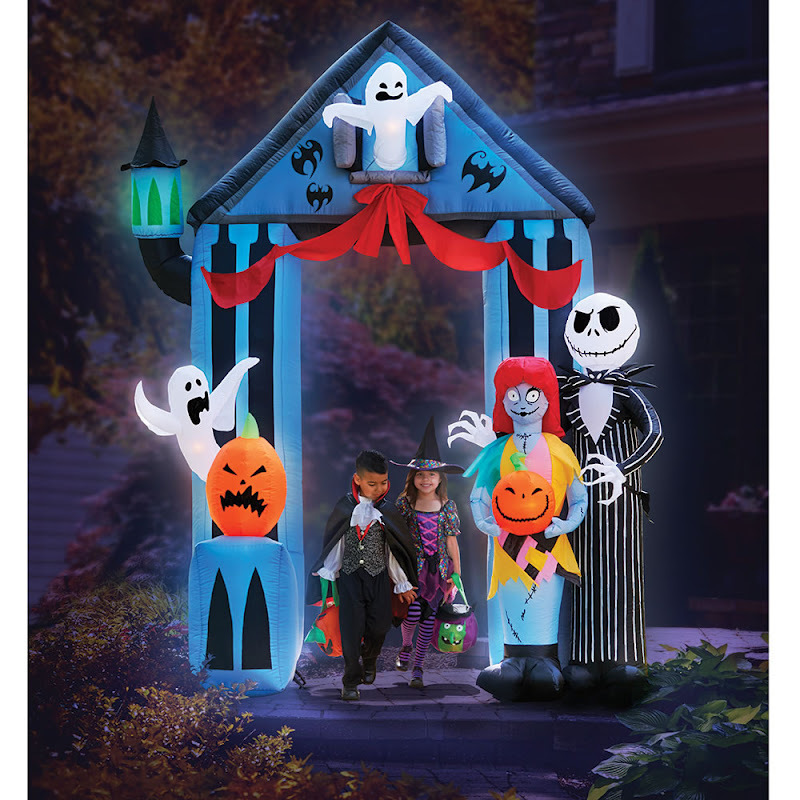 This inflatable Halloween portal, new from Gemmy for the 2016 Halloween season, is so cool! Imagine how delighted (or frightened) trick-or-treaters will be to walk under this on their way into your yard or onto your front porch! This Nightmare Before Christmas portal inflates with a built-in air pump in just three minutes (it uses a standard 110 ac outlet). It features Jack Skellington, Sally, and a couple of ghosts. It stands 9 feet tall, 6.5 feet wide, and lights up for nighttime use! For convenience, it comes with yard stakes and ropes for tying it down. You can use it indoors if you have a high ceiling, too - how great would this be for a Halloween party? Learn more about the inflatable Nightmare Before Christmas portal on Amazon. Happy haunting!